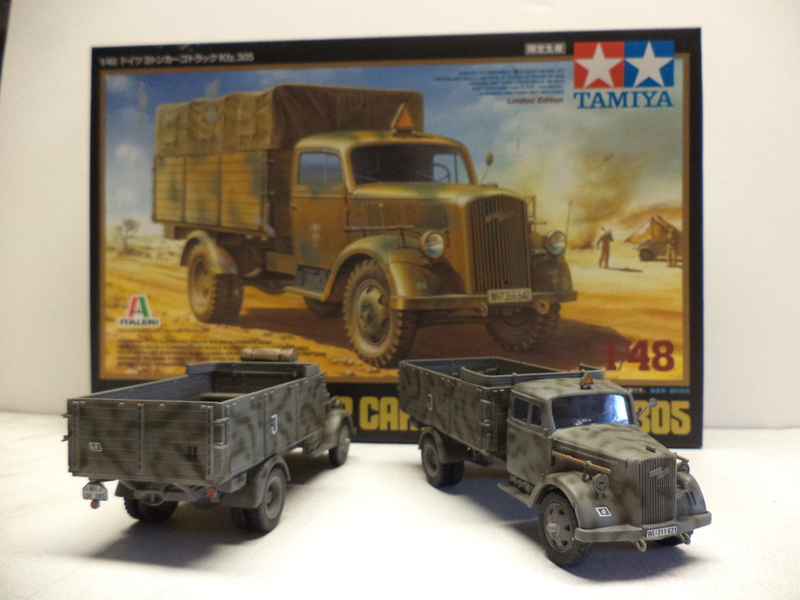 The kit is like any other Tamiya kit… its very well done and easy to assemble as well as super detailed in almost every way! The kit has a fully stocked interior super detailed chassis with real rubber tires. The body lines and engravings are crisp and true to life looking. The kit comes with several options as far as color and decals. 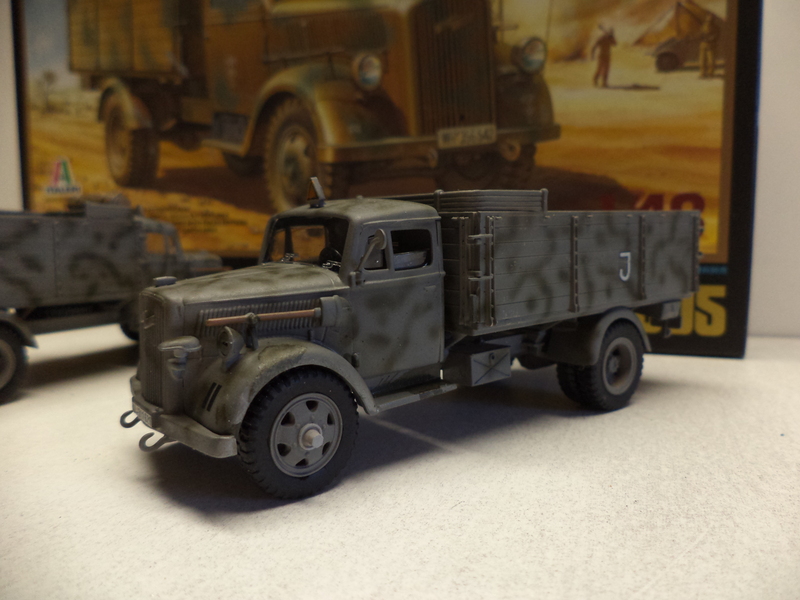 One of the options in the kit is that you can use the cargo area for a troop transport with seats or all open to use for cargo. 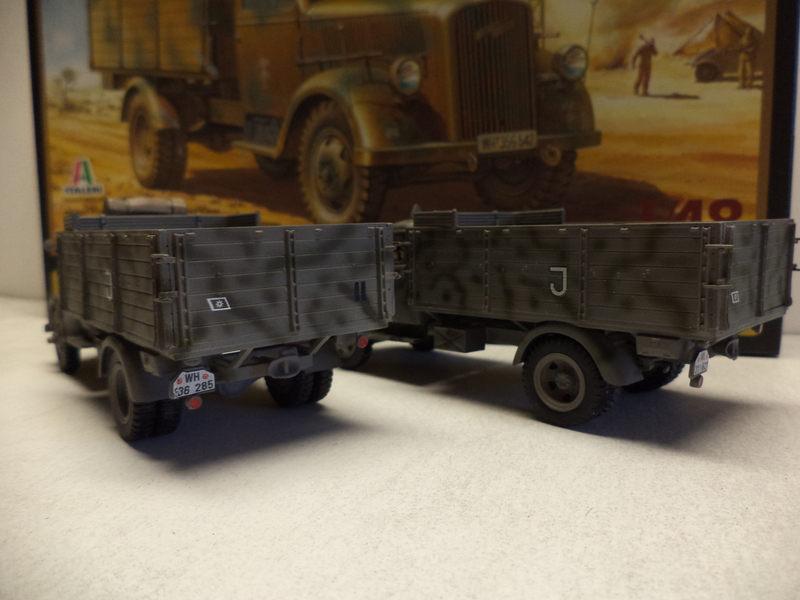 you can also use the supplied canvas cargo top or leave it open as I have on these two models. 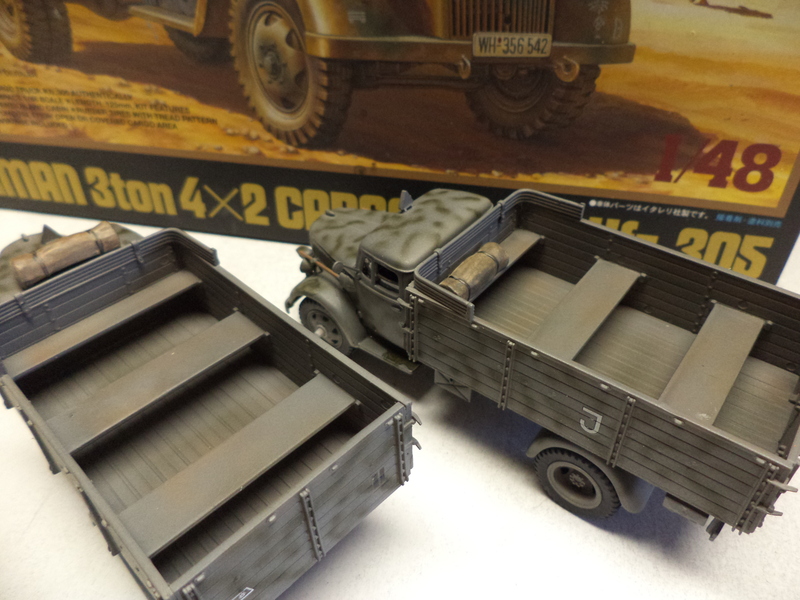 The kit does not come with any figures or cargo but it does come with a rolled up tarp and the tarp bars for the down top version. All in all I found the kit to be very nice and well worth the price and time. I recommend this kit to anyone that wants a well detailed model that will look great in there diorama or to just display on there shelf.